Electric Daisy Carnival, the world-famous electronic music event, will be heading to London’s Queen Elizabeth Olympic Park on Saturday July 202013 for one of the biggest shows to hit the UK this summer, featuring some of electronic music’s biggest and most globally recognised talent, including headliners Tiësto and AVICII, as well as Steve Angello, Alesso, Hardwell, Madeon and many more, across one main stage and three arenas. Partnered by Insomniac and Cream, Electric Daisy Carnival London will combine the world’s leading electronic artists with the epic production and visual experience that Electric Daisy Carnival has become famed for. 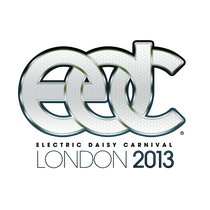 An epicenter for the world’s leading dance music stars, the Electric Daisy Carnival London’s Main Stage is headed up by Dutchman Tiësto and Sweden’s AVICII. Steve Angello, who dropped an Essential Mix on BBC Radio 1 in March and has just launched his label imprint X is also on the bill. Look out too for Alesso and Hardwell. 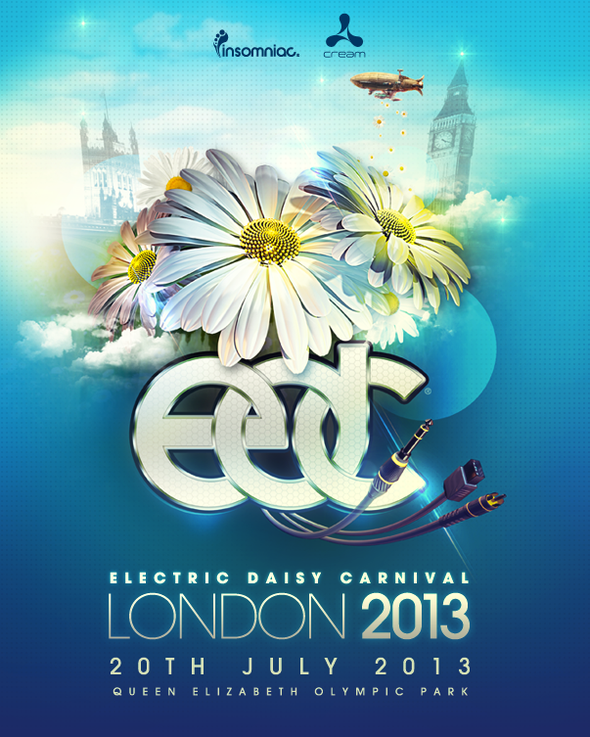 Electric Daisy Carnival London hosts the Hard Arena, supplying a heavier electro-infused dance music style. The line-up includeds French producer Madeon, Fake Blood, Porter Robinson and Crookers. Producer, DJ and promoter of HARD, Destructo is also on the bill alongside Rusko. BBC Radio 1Xtra’s Mistajam hosts his very own Speakerbox Arena. Speakerbox has had a fantastic year, pulling together some of the best scenes and skills in urban and bass music. Jaguar Skills is on the line-up with Caspa, Goldie and SHY FX teams up with Stamina MC.